India’s Maoist insurgency, which Prime Minister Manmohan Singh has called the country’s greatest internal security threat, is putting the squeeze on economic activity by strangling the transport of coal. Naxalite groups have choked movement of the commodity from the mines of state-run Coal India Ltd (CIL) India’s largest producer of the fuel. CIL confirmed that it can’t transport coal from its Central Coal Fields (CCL) located in Jharkhand and admitted similar problems but on a smaller scale at Mahanadi Coal Fields in Orissa, Western Coal Fields in Madhya Pradesh and Maharashtra and South Eastern Coal Fields in Chhattisgarh. “I can produce the coal and keep it there but cannot move it. The whole CCL area is Naxal affected," said Partha S. Bhattacharyya, chairman of CIL. “We are aiming at increasing our stocks" as despatches have come to a halt, he said. India, which faces an acute shortage of coal, has 256 billion tonnes of coal reserves, of which around 455 million tonnes per annum (mtpa) is mined. The country currently imports around 40 mt of coal to try and bridge the demand-supply gap. Demand is expected to reach around 2 billion tonnes a year by 2031-32, around five times the current rate of extraction, with most of it coming from the power sector. The country expects imports to rise from 59 mtpa of coal now to around 100 mtpa by 2012, to plug the gap. 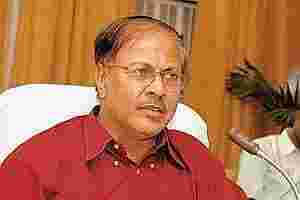 Shiv Basant, chief secretary of Jharkhand, rejected Bhattacharyya’s contention about coal transport. “This is absolutely baseless. It is the responsibility of CIL’s subsidiary to bring any problem to our notice. There have been no such complaints by CCL," he said. “There is no disruption in the movement of coal. There are proposals on the anvil to facilitate movement. There is a plan to construct a parallel road to the CCL section of the railway track to patrol it better." CIL says the number of trains carrying coal has dropped precipitously. “We are transporting around 2-3 coal rakes in a day as compared to around 30 rakes," said the CIL chairman. “This at a time when north Indian power projects are starved for coal. There were 36 bandhs called by the Naxals in this year alone." While the Union home ministry did not respond to questions emailed by Mint on 14 October, C. Balakrishnan, coal secretary, confirmed the government’s concern. “An action plan is being considered by the government," he said. While CIL is targeting a production of 435 million tonnes (mt) this year, against 403.73 mt in 2008-09, the offtake from CCL has dropped to 33.84 mt in 2008-09 from a high of 38.68 mt in 2006-07. It was 32.04 mt in 2007-08 and 24 mt in the April-October period. Illegal activities in the mining areas, which have long been rife with criminal activity by organized gangs, include the theft of coal and explosives and illicit extraction of the fuel. Apart from coal mines being located in isolated and tribal areas, the socio-economic situation combined with exploitation of labour has created a fertile ground for Naxal activities, which have disrupted supplies. “Had it not been for the Maoist problem, the offtake could have been more," said a CCL spokesperson. The Prime Minister has said that left-wing extremists are targeting all aspects of economic activity. “It is not unusual in a conflict area for economic activity to be affected. Various projects...have not taken off because of the Maoist problem," said Sudeep Chakravarti, who writes on issues related to conflict in South Asia and is a Mint columnist. The Naxal-affected states include Jharkhand, Chhattisgarh, Andhra Pradesh, Madhya Pradesh, Bihar, Orissa and West Bengal and Maharashtra. “Law and order issues are manifestations of sustainability risks in mining, when the communities around the mining projects do not seem to share the benefits from the economic activities but have to bear with adverse effects of the same, including displacements, pollution and change in lifestyles," said Dipesh Dipu, principal consultant (mining) with audit and consulting firm PricewaterhouseCoopers. “The Indian mining sector, including private sector participants, is not known to be the best in this regard, and often times the efforts made in the respect of corporate social responsibilities are more in letter than in spirit." There is no option but to engage in dialogue with the people of the area and making an attempt to better their lot, he said. “There are some who have made sincere efforts but have been found lacking in communication with the stakeholders. The solution of the issue, which is likely to become more and more significant in light of the anticipated growth in the coal mining sector, is to partner with communities, address all their concerns, communicate to them the benefits, and be transparent to the core," he said.